Community Power Cornwall offers a pioneering approach to the the delivery of viable community owned renewable energy assets. It offers a new economic model through which local people and interested communities can own and profit from the development of renewable energy initiatives. We are reaching a crisis point as the threats of Climate Change, dwindling fossil fuel supplies and energy security converge. Urgent action is required in all sectors of society and Community Power Cornwall offers an opportunity for individuals and communities to take charge of their future whilst contributing to the reduction of a global threat, taking advantage of the current political climate. 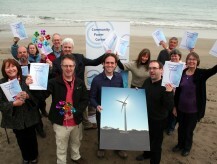 Community Power Cornwall is developing and operating small to medium scale community owned renewable energy installations. Its initial focus will be on wind turbines generating electricity for sale via the national grid and taking advantage of the Feed-in Tariff to generate revenues to reinvest in other renewables with longer pay back periods. Community Power Cornwall is a new, independent Industrial and Provident Society, owned by its members with initial development being supported by Community Energy Plus and Social Economy and Co-operative Development Cornwall, trading as Kabin. The Society exists to enable community ownership of these assets, to generate capital to be re-invested locally in renewable energy, and to nurture the spread of community owned renewable energy generation. 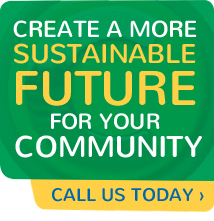 The Society exists for wider community benefit and hopes to contribute to the wider good by responsibly meeting our environmental, social and financial goals. For further information visit the Community Power Cornwall website.